How many times have you bypassed birdcages at the thrift store, not knowing they could become a birdcage light?! That would be countless for me! But I'm changing my ways because I NEED one of these like a junker needs rust. 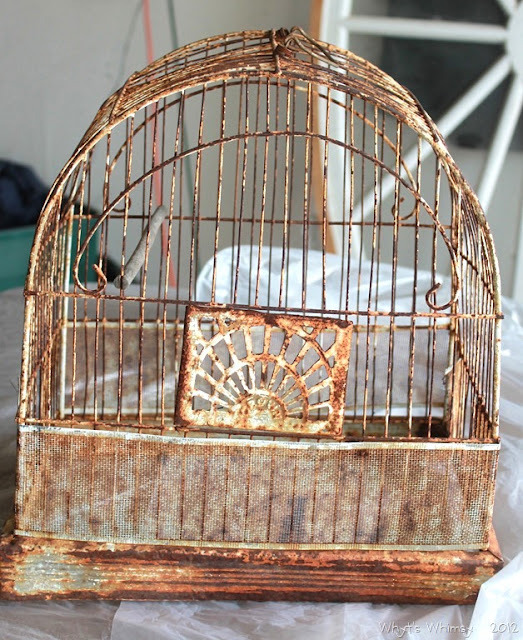 Whytney came across this sweet rusty 'ol cage for a whoppin' $10. For another $5, she used a light kit from Ikea. 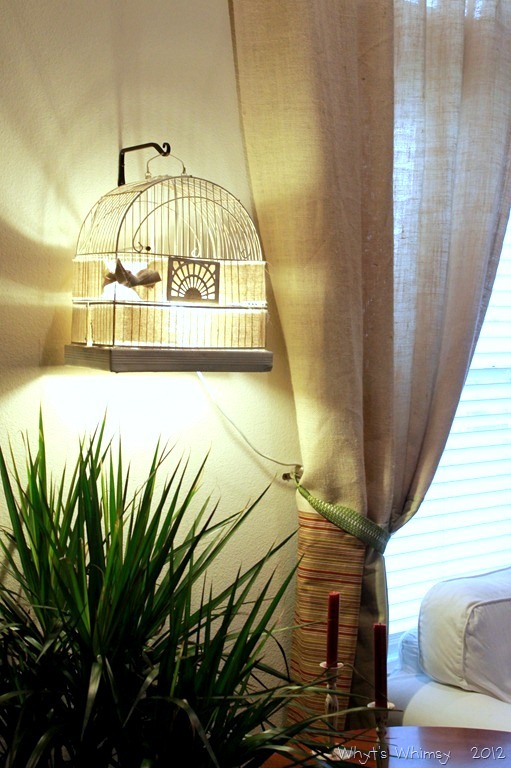 She even added a little something to the cage to help diffuse the light... more deets on the blog post. What a GREAT idea! Well, you certainly don't expect to see a birdcage illuminated. THAT is why I love it! It can be mounted to the wall or left on it's original stand as a floor lamp. Oh goodness, how I want one! Quick... run to your nearest thrift before they catch on how desired these things are about to become!